As you all know, The Blot is a HUGE fan of MAD’s Mad*l platform and of Sket One’s art. So of course I was super pumped to learn Sket just released a new series of custom Metro Mad*l vinyl figures! Just look at all those killer details. I especially love that Sket tagged the back of each piece just like it was a real 1 Line metro subway train. 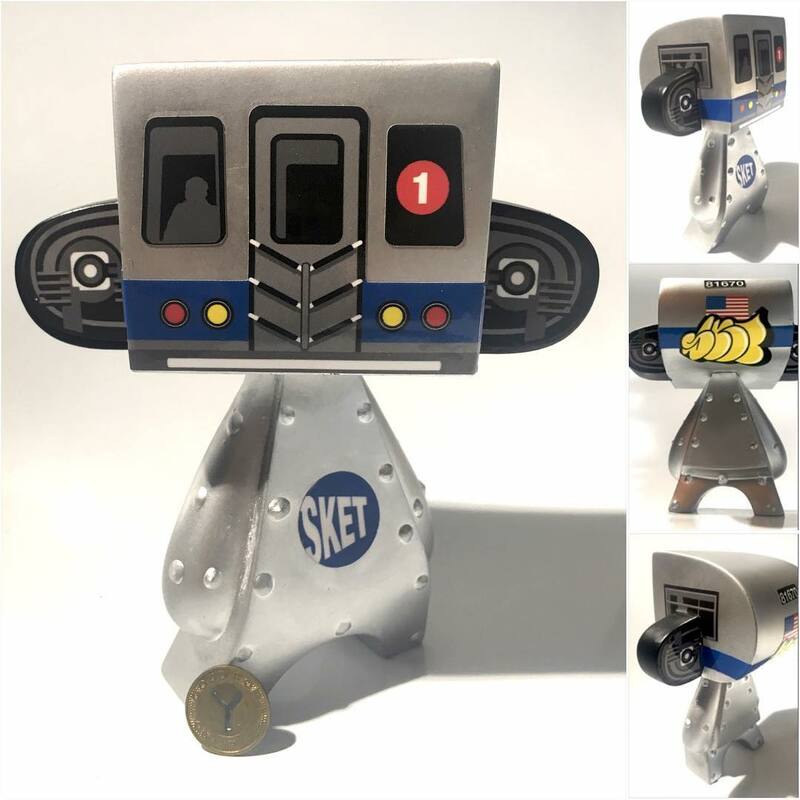 Each figure stands 5” tall, includes a small vintage NYC subway token, and comes signed and numbered by the artist. Limited to just 30 pieces, collectors can pre-order this awesome custom now at the Sket One online store for $200 each.